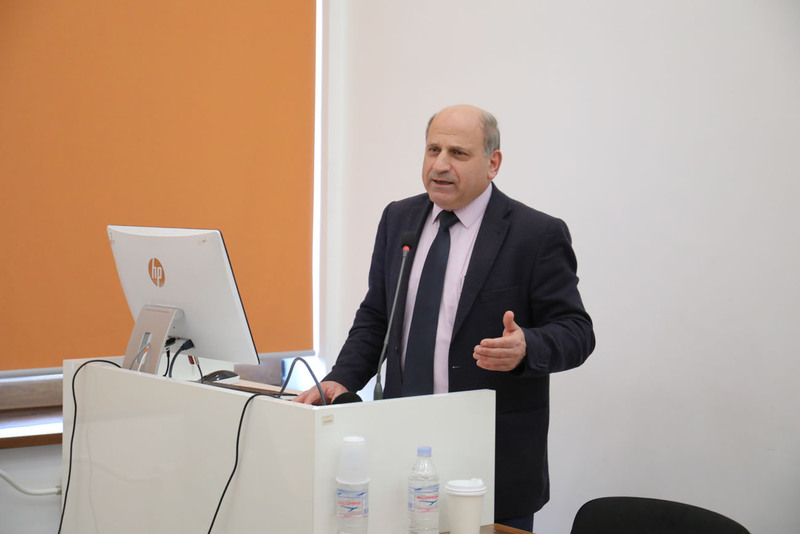 YEREVAN, Armenia – On March 15 and April 3, 2019, the American University of Armenia (AUA) Political Science and International Affairs (PSIA) program held seminars with Dr. Ohannes Geukjian. 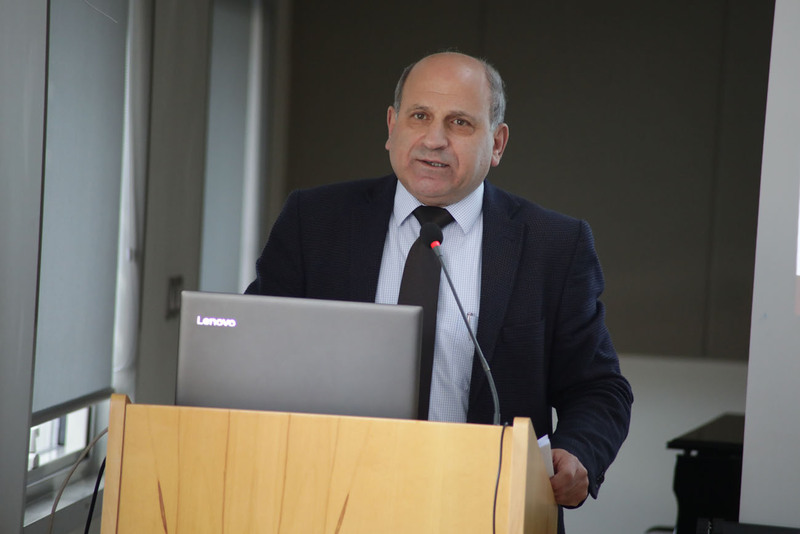 He is the Acting Chair of the department of Political Science and Public Administration (PSPA) of the American University of Beirut (AUB). 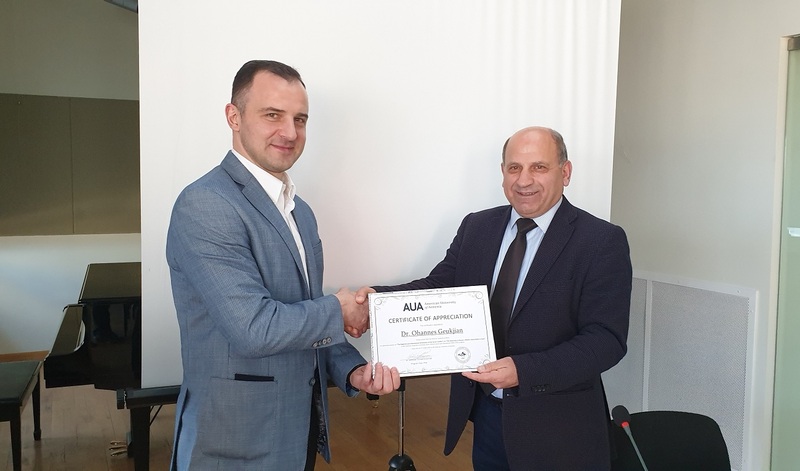 He is currently a Visiting Scholar at the AUA PSIA program. 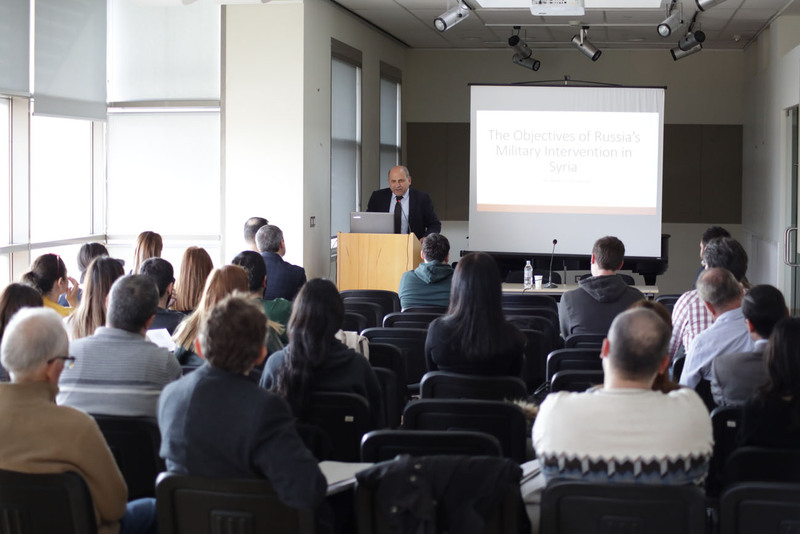 During the seminars, Dr. Geukjian discussed The Regional and International Dimensions of the Syrian Conflict and The Objectives of Russia’s Military Intervention in Syria. 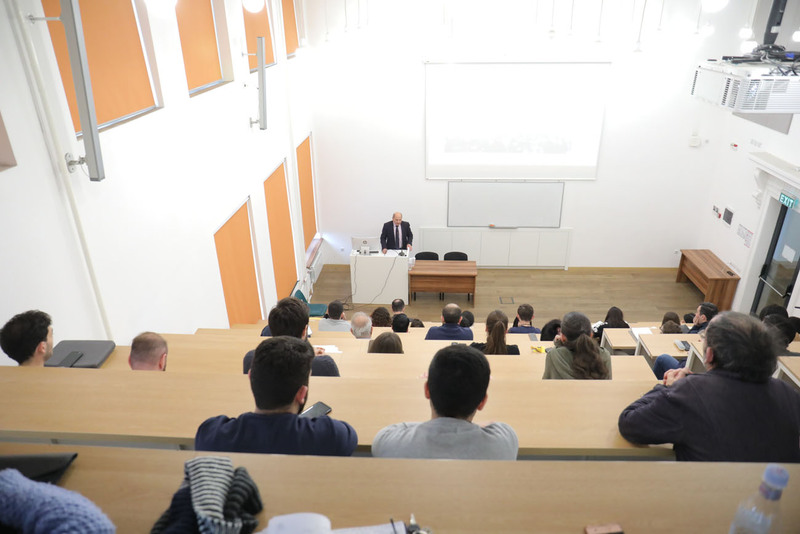 At the first seminar, Dr. Geukjian stated that the Middle East is an erupting volcano with unending conflicts and recalled a number of conflicts in the Middle East that remain unresolved. The speaker then concentrated on the Syrian conflict, which sprouted from the peaceful demonstrations of March 2011, during which the demonstrators were calling for democracy, rights and reforms. However, the conflict then escalated quickly and was no longer the result of a purely internal matter. He then discussed that the internal parties fighting against one another were backed by external players, who had conflicting agendas. The speaker concluded that the Syrian conflict is extremely complex and multidimensional and cannot be resolved without agreement among the internal and external players. 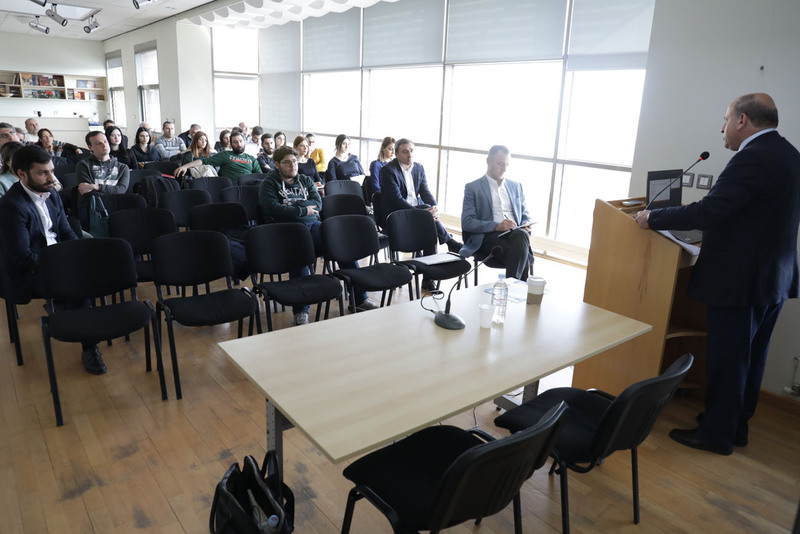 During the second presentation Dr. Geukjian concentrated on Russia’s military interventions in Syria. According to the speaker, Russia’s direct military intervention in the Syrian civil war was a foreign policy objective to shore up the Syrian regime, a Moscow ally since the Cold War period. Russia aimed at keeping Syria together as a unified state thereby maintaining the Russian foothold in the Middle East. He argued that Russia projected force beyond its periphery to affirm its status as a great power and return to its rightful place among the world powers. 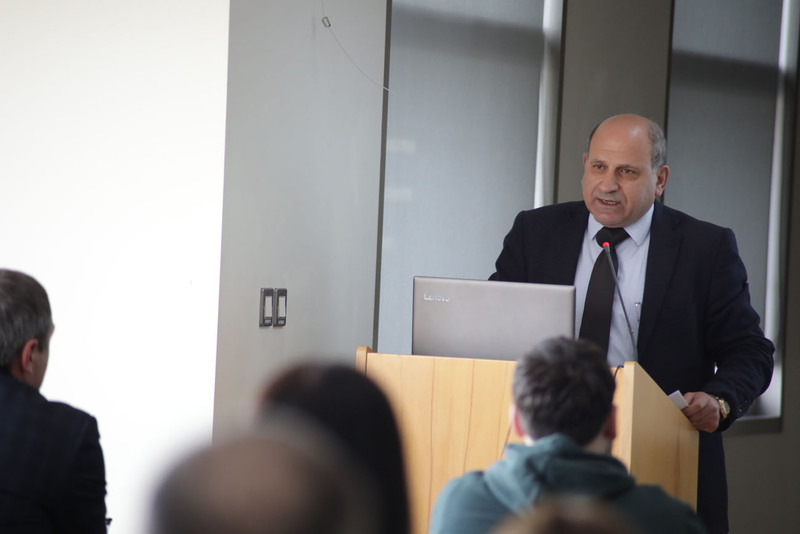 The central themes of Dr. Geukjian’s presentations come from his current research on “Russian Intervention in the Middle East.” The presentations were followed by Q&A sessions, during which the audience had the opportunity to elaborate on the topic of the Syrian conflict and to discuss the issues that have been hindering the peaceful resolution of this conflict and Russia’s intervention in the conflict. 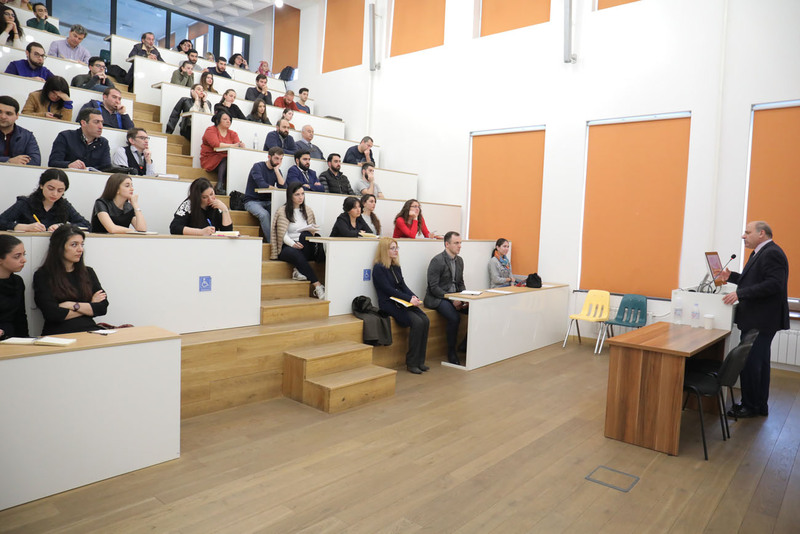 The complete talk of the first seminar can be accessed here.